LONDON, Jan. 17, 2019 /PRNewswire/ -- Spot physical prices for aluminum, hot-rolled coil steel, and molybdenum, as assessed by S&P Global Platts, the leading independent provider of information and benchmark prices for the commodities and energy markets, have been selected by the London Metal Exchange (LME) to form the basis of three new futures contracts that are due to launch March 11, 2019. The S&P Global Platts price assessments chosen are the Platts Aluminum Transaction Premium Duty Paid (DDP) US Midwest, the Platts TSI HRC US Indiana*, and the Platts Molybdenum Oxide Daily Dealer (Global) Index. Ian Dudden, Global Content Director, Metals & Agriculture, S&P Global Platts: "Our metals prices are already widely used as the benchmark in many physical and futures contracts. We're pleased to be recognized further for the role we play in bringing greater transparency to markets through our price assessment processes and as an independent price reporting agency." Robin Martin, Head of Market Development, LME Group: "We are delighted to announce S&P Global Platts as one of the index providers for our new cash-settled futures contracts, which is the next step in delivering our new products strategy and an important part of our commitment to deliver greater user choice. The introduction of new contracts is a strategically important growth driver for the LME. We believe that these new cash-settled contracts will complement our existing product offering and the simpler settlement mechanism will help lower barriers to market entry. This will attract new players to the market who can benefit from using LME hedging to better manage their price risk in the physical metals market." For details of the S&P Global Platts price assessment methodology underpinning the metals price assessments, visit the specifications and methodology sections of the website: Ferrous and Non-Ferrous. S&P Global Platts does not sponsor, endorse, promote or sell futures contracts. At S&P Global Platts, we provide the insights; you make better-informed trading and business decisions with confidence. We're the leading independent provider of information and benchmark prices for the commodities and energy markets. Customers in over 190 countries look to our expertise in news, pricing and analytics to deliver greater transparency and efficiency to markets. S&P Global Platts coverage includes oil and gas, power, petrochemicals, metals, agriculture and shipping. S&P Global Platts does not sponsor, endorse, promote or sell futures contracts. 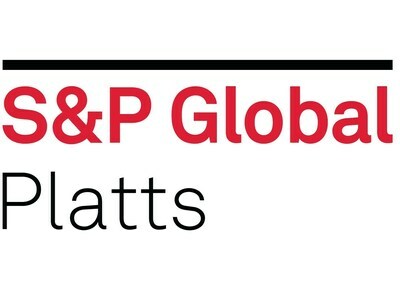 S&P Global Platts is a division of S&P Global (NYSE: SPGI), which provides essential intelligence for individuals, companies and governments to make decisions with confidence. For more information, visit www.spglobal.com/platts.